Hello, bookish muses! Every once in a while I'll hear about a book and immediately go need. When I saw the cover reveal for L.M. Elliott's Da Vinci's Tiger many months ago, I had that need. The cover was gorgeous, and the synopsis--a romance with Leonardo da Vinci? NEED. I was so excited for the book that I asked Laura if she'd be up for an interview, and she so kindly agreed. I hope you're just as excited for this book as I am--and fortunately for you, the wait won't be long. It hits shelves very soon. But while you're eagerly waiting, here's some fun stuff about the book! Rachel: Hi, Laura! 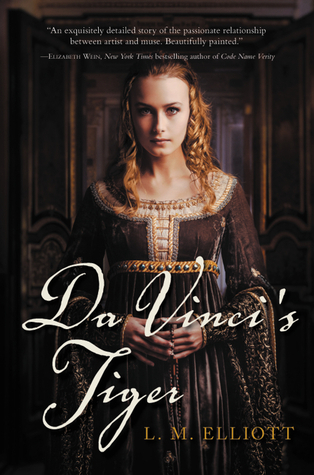 When I first heard about Da Vinci’s Tiger, I was immediately intrigued by a lot of things: the title, the cover—and the love interest being Leonardo da Vinci. DO TELL. Laura: The title comes from the only remaining line of Ginevra's poetry: "I beg your pardon, I am a mountain tiger." The cover has changed since we first connected. I loved the concept of the first one—Ginevra looking out from a silhouette of a tiger, but sadly not enough people understood it. I LOVE the new one. It's lush, atmospheric, the girl is actually framed by the doorway, which I think is a wonderful hint of a portrait, and the model is very evocative of Ginevra—self-possessed, dignified, with a look of quiet intelligence. The novel actually explores many different kinds of love—including the ennobling love between a muse and an artist/poet, the sense of discovery and delight and mutual growth possible during a collaborative creative endeavor. Some scholars speculate that Ginevra actually had a profound effect on the painter Leonardo becomes, his ability to seek out, respect, and then capture and convey a woman's "motions of the mind," which was Leonardo's phrase for the individual soul and personality. Rachel: Okay, now let’s talk about THAT COVER and excellent title. 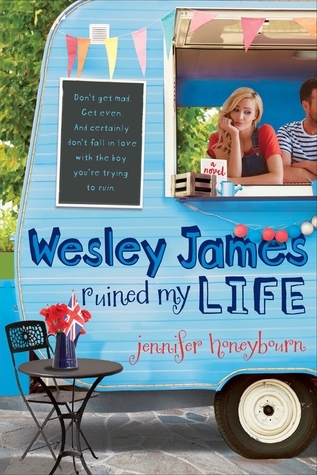 We all love that cover, yes? And that title—I get the Da Vinci part, but what does Tiger mean? Laura: It comes from her poetry, and inside the novel—in a conversation with the Venetian ambassador who is Ginevra's Platonic Love and who commissions the portrait—you will find the metaphor for its deeper meaning. Laura: ALL of it is based on fact! I was a journalist for 20 years before turning to fiction-writing, so I research everything in depth and then let what I discovered tell me what to write. (I read 55 art histories, Renaissance histories, biographies, and women's studies books before writing a word of Da Vinci's Tiger, for instance, and then interviewed historians and art experts, etc.) So the novel is rooted in fact, and what interpretations I make of history or dramatization of actual events I do are totally plausible given what is factually true. If you'd like a more thorough answer to this question, please see my webpage. Rachel: The Renaissance era, Florence, painting, sculpting, poetry, Leonardo da Vinci—I’m guessing your research was like walking through a virtual museum? Laura: YES!! It was the absolute best experience of the 7 novels I have written. I was able to go to Florence to steep myself in the art, the city, the landscape, and to walk the streets Ginevra and Leonardo did. It was a glorious immersion that greatly affected me as I started to write. Rachel: What was your favorite part about writing Da Vinci’s Tiger, and what part was the hardest? Laura: My favorite part seriously was the research and learning about Ginevra, the Medici, Leonardo, and the other artists in Florence in the 1470s. The early Renaissance was such a creative explosion, the art so exquisite, so fresh. A complete delight. The hardest part was having to leave out so much of what I learned, all the fascinating tangents that would have pulled the story off track. Rachel: If you were to write about another piece/person of history, what/who would it be? Laura: Oh wow. SO many people I am fascinated by. My next book is actually about Simonetta Vespucci—the muse of Botticelli, whom you meet as a supporting character in Da Vinci's Tiger. Rachel: Would you rather spend more time in a library or a museum? Laura: Yikes! Well..... hmmmm.... My instinct is to take the 5th! But probably a museum of art. Rachel: Do you hope readers glean anything from your novel? Laura: Goodness, yes. LOTS. I hope they realize: that history is a human drama, full of inspiration and amazement and tragedy and triumphs and people like Ginevra. That we can find stories of "female agency" in history, in ordinary people, in smaller anecdotes or tales—not just in grandiose dystopias. That self-definition is as important as finding love, and ultimately makes love more real. That female friendships are as enriching and important as romance. That works by lesser known artists like Verrocchio are so worth learning about and are hidden treasures to relish. That all of us have a voice that can sing out with beauty, given the right encouragement, some courage, and the right muse. I could go on and on! Rachel: Leonard, Donatello, Raphael, or Michelangelo? Laura: Michelangelo for sculpture; Raphael for painting; Leonardo for drawings (and strong, alive Madonnas, who smile and play games with a chortling Christ child. His sketches have such life and joy in life). Rachel: You see Da Vinci’s Tiger on shelves for the first time—what do you do? L. M. Elliott is author of Under a War-Torn Sky, a Notable Book in Social Studies (NCSS/CBC), a Jefferson Cup Honor Book for Historical Fiction, winner of Border’s Original Voices Award for YA Literature, and a Bank Street College Best Book; its sequel A Troubled Peace, also a NCSS/CBC Notable; and its companion Across a War-Tossed Sea, a Jefferson Cup Overfloweth Title; and Annie, Between the States, a New York City Public Library Book for the Teen Age, IRA Teachers’ choice, and VA Readers’ Choice finalist; Give Me Liberty; and Flying South, a Bank Street College Best Book. 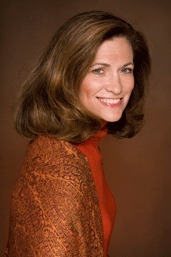 Her next novel, Da Vinci's Tiger, explores the subject of Leonardo's first portrait, the young poet Ginevra de' Benci. How excited are you for Da Vinci's Tiger?